Disclosure: I am partnering with Mitsubishi for this post. All opinions are my own. About two months ago, my current vehicle started to show some signs of old age. I currently drive a 10 year old SUV with nearly 230,000 miles on it. I reached out to my online community for some ideas on vehicles to purchase and that was the wrong choice. Everyone has an opinion and that is not helpful when you have some specific checklist items in mind. We decided to just wait it out, do some research and decide on something in the summer. 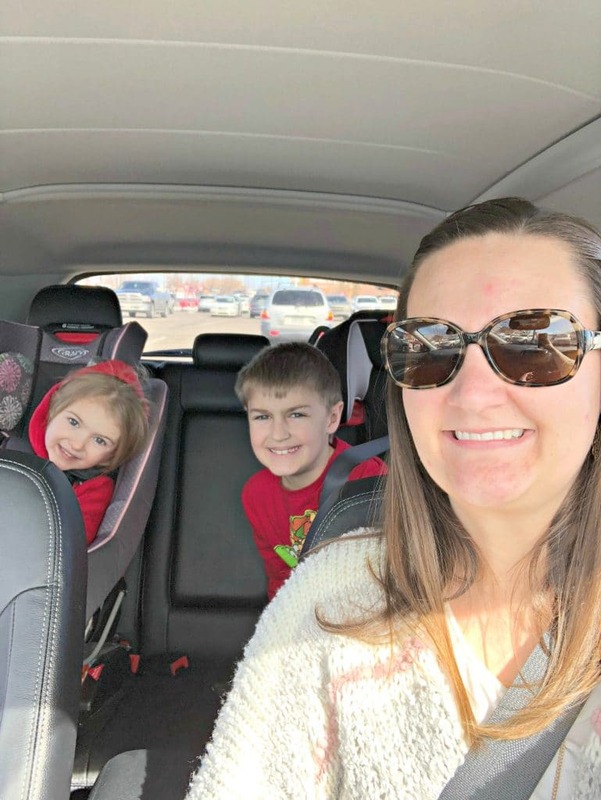 So when I had the opportunity to test out the Mitsubishi Outlander Sport, I jumped all over it and decided to share 6 features of the Mitsubishi Outlander Sport that you need to see! When you are car shopping it can be a nightmare. If you are anything like me, you get very attached to your vehicles. I mean, I brought my babies home in certain cars, we road tripped and made memories, and they are an extension of every facet of our lives. I get REALLY attached to vehicles. So it is extremely important for me to find a car that will not only suit our family’s needs, but will also be a “driving force” in our memory making. The 2018 Mitsubishi Outlander Sport has some great features that put it in the running for our next family vehicle! 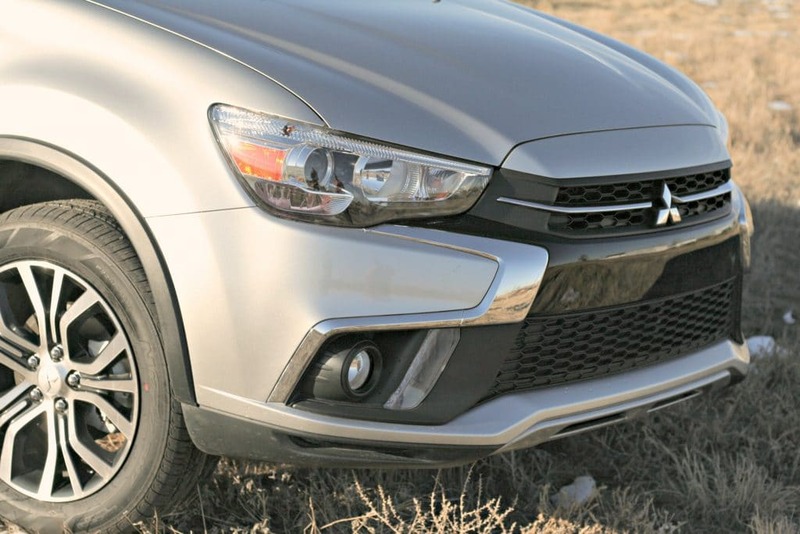 The 2018 Mitsubishi Outlander Sport is a sleek vehicle with great lines and packs some really awesome features too! I am personally a fan of lighter colored vehicles, especially living in Colorado and driving on dirt roads regularly. I don’t often make it to the car wash so those lighter color vehicles are a good fit for me because they do not show the dirt as much. In addition to the paint, the car comes with aluminum alloy wheels, chrome accents, fog lights and power mirrors that automatically fold in when you lock the vehicle. I was puzzled for a day about why the mirrors kept getting folded in, until I realized that it is a built in feature and is actually pretty awesome! Less chance for damage to those major safety features! In addition, I live in a rural area where street lights really aren’t a thing and wild animals will make their way onto the roadways pretty consistently. 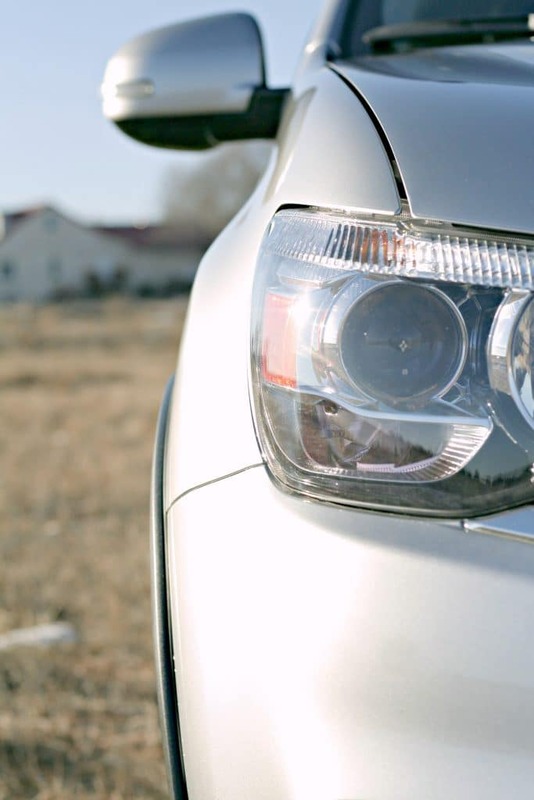 So bright headlights are also a very important feature. 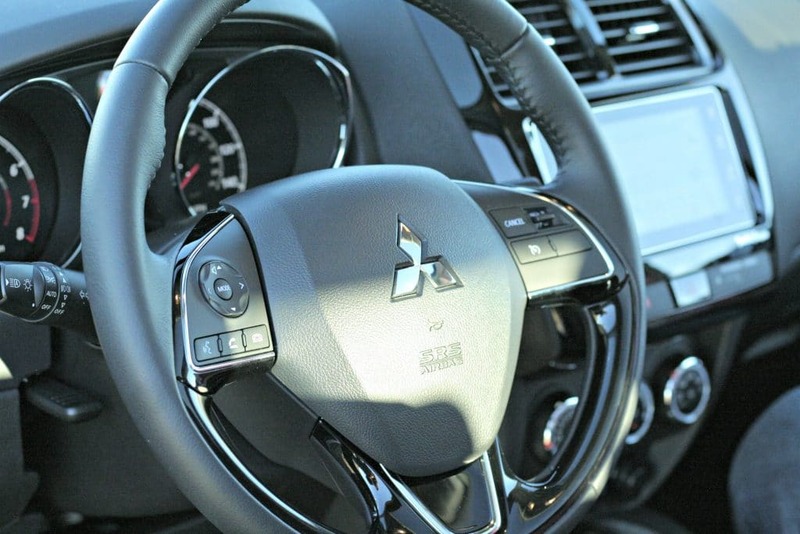 In fact, one of our favorite features of the Mitsubishi is that they are adjustable! Seriously, you can adjust them to be closer or farther away and to see wider. It was amazing and made a HUGE difference driving at night on those pitch black roadways. So I am a luxury type of gal. There is no hiding that. I want it all, I want the whole world and I want to be completely comfortable when I am living in that world. I was a bit nervous that the Mitsubishi Outlander was not going to have all the bells and whistles that I am used to, but I was dead wrong. Pretty sure, spending a week in this vehicle convinced me that I need even more! When I first turned on the vehicle, a notification came on the dashboard to let me know that the roads were potentially icy. In addition, the dashboard alerts kept me in the know for service needs and fuel economy. It was pretty awesome to see how well I could keep the car in the “ECO” setting to get the best mileage and made for some fun competition between the husband and I! Another feature that I have decided I cannot live without is hands free calling. On my current vehicle, it has this setting but unfortunately it is outdated and does not connect well, so it was awesome to have this option. Especially when I was somewhat lost and my husband was talking me through the turn by turn from his work. I was able to listen to him and get to where I needed too without taking my hands off the steering wheel and my eyes off the road. Definitely awesome! I firmly believe that all vehicles need a back up camera. It is an awesome safety feature, and parking helper. I love the guidelines that help with parallel parking and the camera is so incredibly clear. 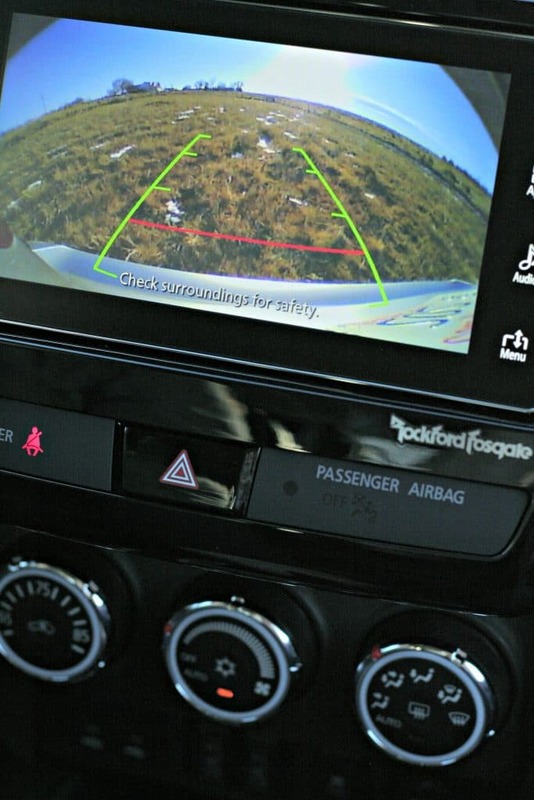 Mitsubishi got it right with this back up camera system and definitely gets some big points in our book for this one. 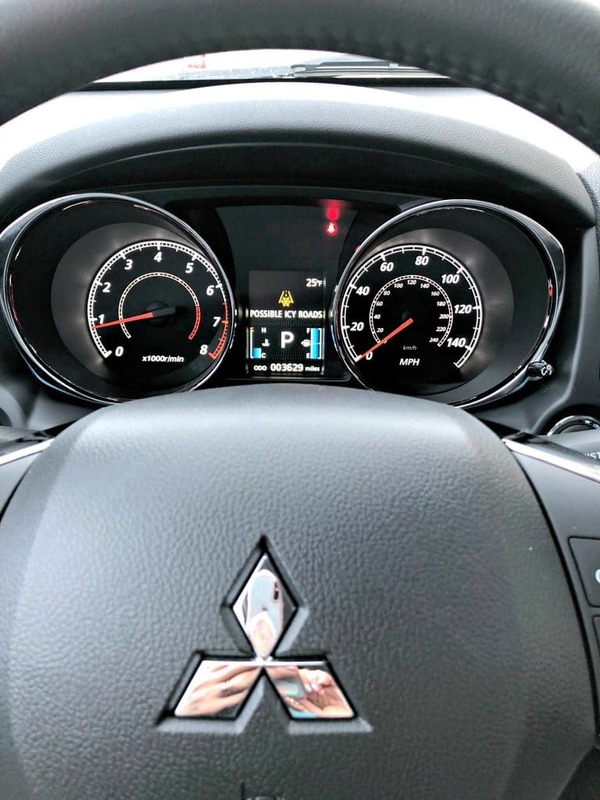 Additionally, the Mitsubishi Outlander sport comes with 7 airbags, forward collision mitigation (aka, it can slow you down before a collision), lane departure warnings (alerts if you cross over lane lines), traction control and, something that is a necessity in Colorado, 4WD! Yup, that was a surprise to us and was awesome to use, especially after that ice warning and the snow storm. 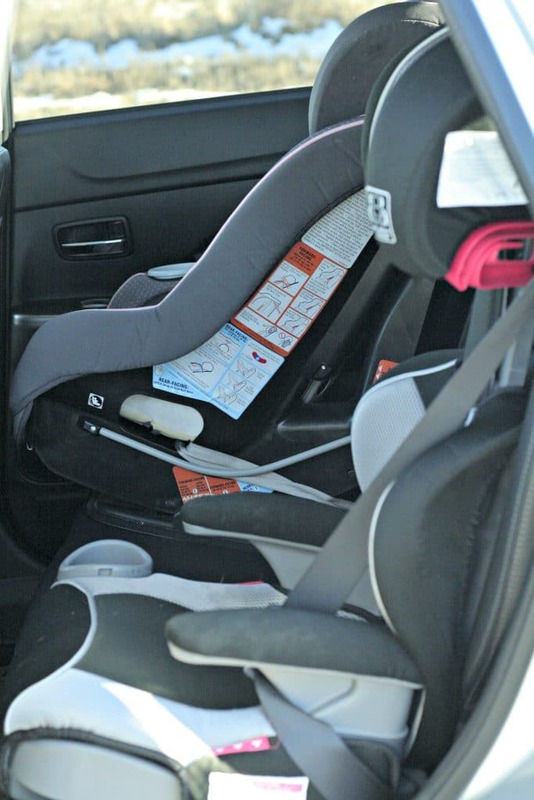 Another safety feature is the LATCH system for car seats. My kids will be in car seats until they are in college. Ok, just kidding, sort of. 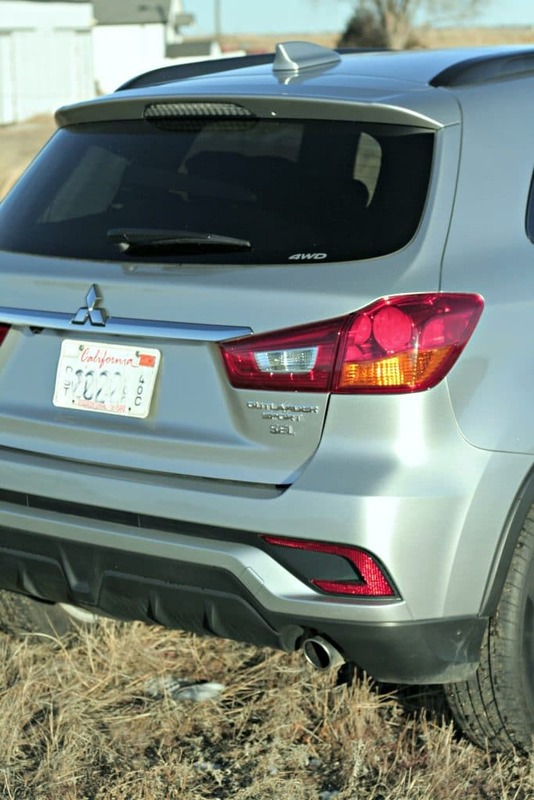 The Mitsubishi Outlander Sport does fit 2 car seats in it with no issue. We were able to tether to the LATCH (our high back booster has tethers too) and install our seats securely. I will say that I would not be able to get 3 carseats in this very easily and that my son had a hard time getting his seat belt to clip in simply because his seat is wide, but I had no problem getting him buckled in safely. This was the only drawback to the car that we considered. I am far from the under-stuffed and we are often traveling with bags and going shopping, so cargo space is critical. 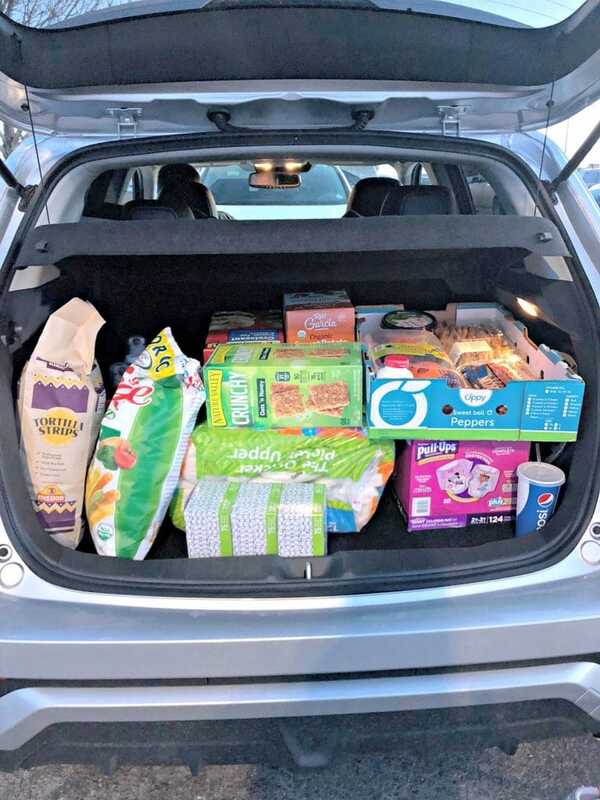 The Mitsubishi Outlander Sport is a compact SUV, which could make you a little worried that it wont hold much in the cargo space. Throw that idea right out the window, this cargo space can hold a ton! I mean check out our trip to Costco. I mean it looks semi-full, but I could have easily packed more in with no issues at all. Cargo space was not an issue. In addition, I love the cargo cover thing that keeps everything hidden from outside viewers. That is one feature that all vehicles need! I could not get a decent picture of this roof at night which is when it becomes the coolest roof ever. However, do you see those creases in the roof? Well they are there because the ENTIRE roof opens up to a full moon roof and it LIGHTS UP! Yes people, like limousine lights, all up in this car and they are adjustable. My kids adored this feature and it made for some awesome star gazing too! One of the things everyone was asking was “how does the car handle”? Great. It handles great and honestly was smooth and so easy to drive. It has a nice get up and go, shifts very smoothly, handles well in the weather, turns on a dime and is so easy to park. 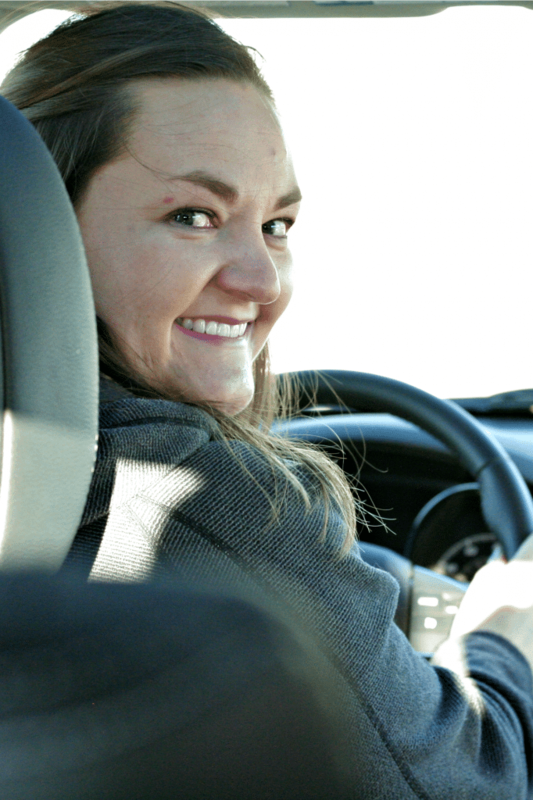 I had a ton of fun driving this car and really felt safe and comfortable in the car. 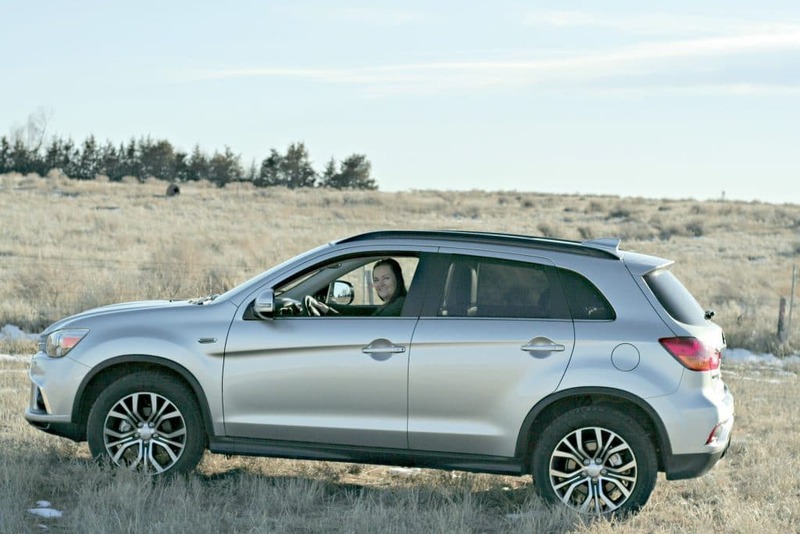 We truly enjoyed testing out the 2018 Mitsubishi Outlander Sport and are keeping it on our list of potential family vehicles. It really had so much of what I know we are looking for and added more that I now want in a car. Starting at $21,000 they are really priced well and are gaining more popularity. 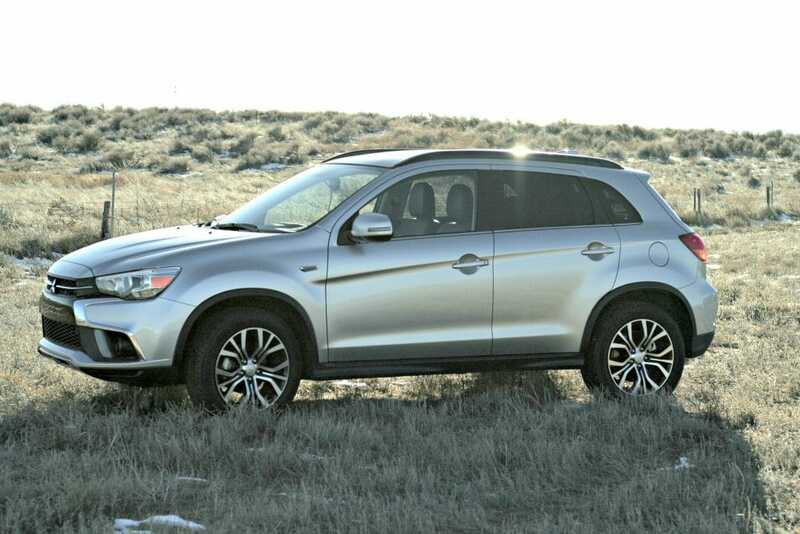 Have you checked out the Mitsubishi Outlander Sport?